Imagine that empty plot in the corner of the garden, the perfect space for this small wonder! 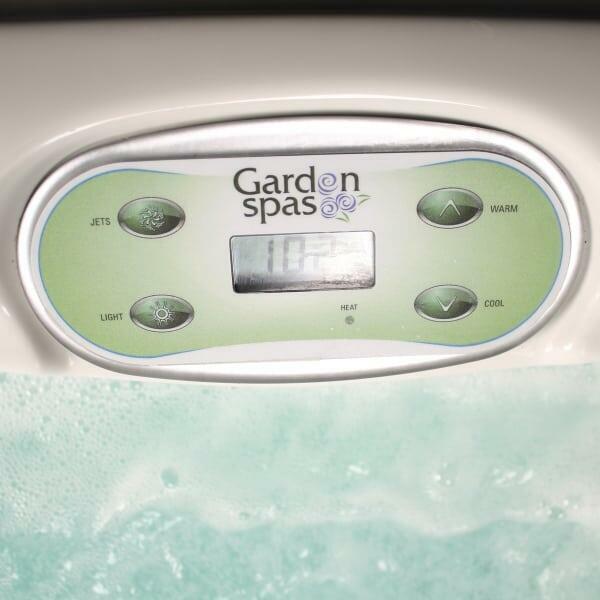 Regardless of space constraints, the Gardenia by Garden Spas will fit into virtually any area, indoors or out. Is there an athlete in the family that requires hydrotherapy relief? Or maybe you need a quiet and relaxing escape from the everyday? This portable version is plug n play ready; just place in the desired area, fill with water, plug into any standard wall outlet and start enjoy wonderful hot water massages! 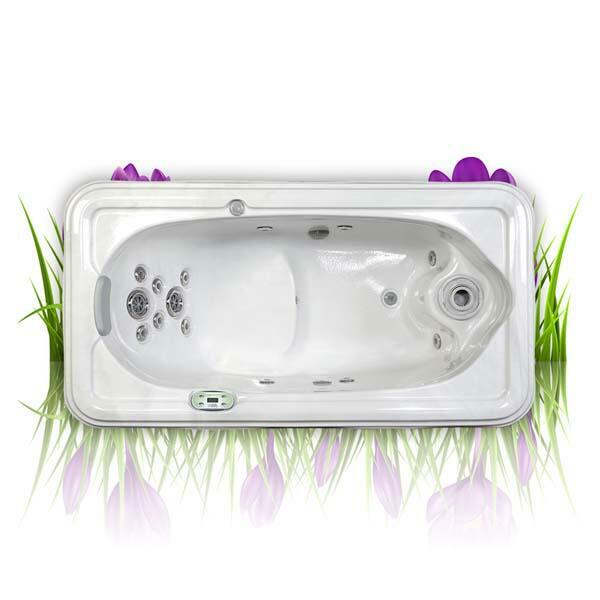 Each jet in this design is strategically placed to ensure the most relaxing experience. The 15 total jets will release stress and tension from the feet, legs, body, neck and arms of that soccer player, basketball player or football player. 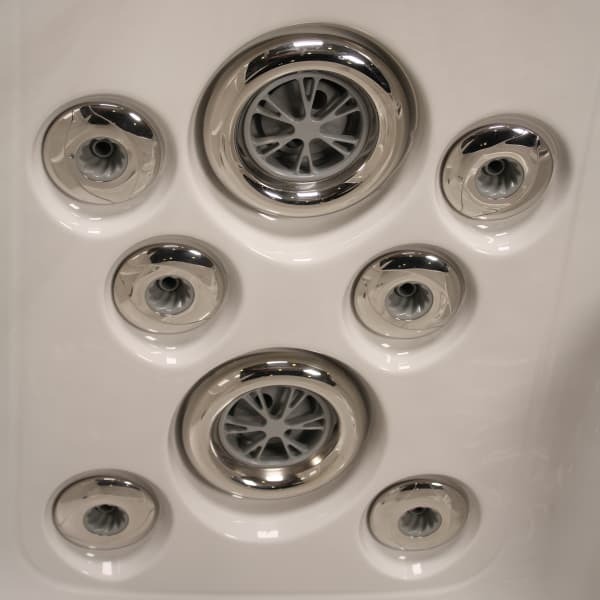 The design is beautiful; with gorgeous stainless steel jet heads and a maintenance-free cabinet made from PermaWood, a synthetic material that is light-weight, yet will resist fade and water rot. Add individual luxury packed with special features, digital controls and high-powered jets! Contact Family Leisure today! Size 76" x 40" x 30"